This princess cut diamond solitaire set with scallop set diamond shoulders is strikingly elegant. For those who love strong, well defined lines and shapes, this makes for the dream engagement ring. 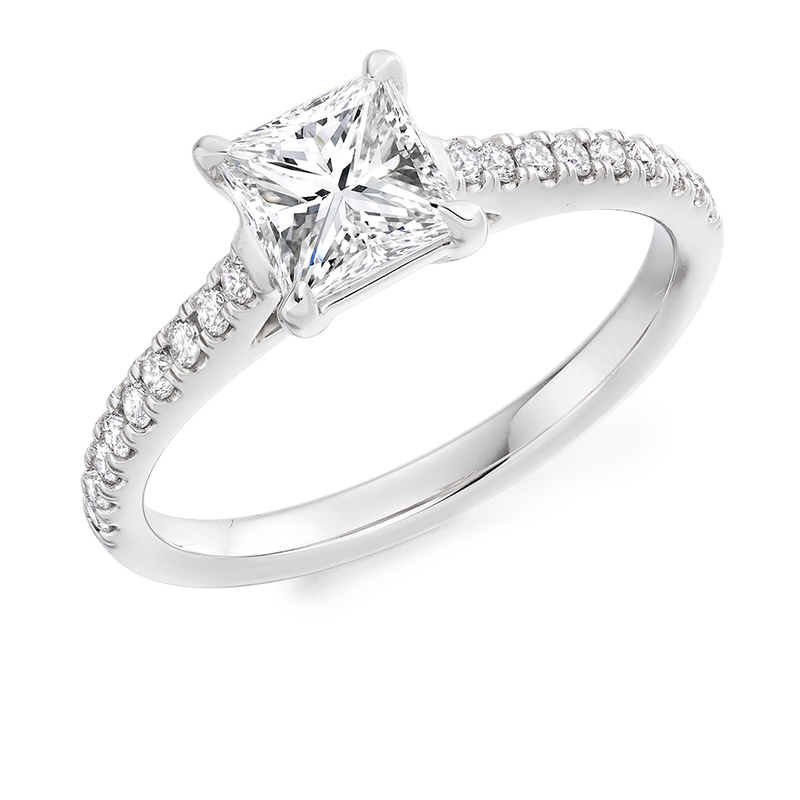 This style can also be set with a step cut diamond to give a more Art Deco look. Have you fallen in love with one of our engagement rings but would like to discuss a modification? We are delighted to discuss your ideas and quote for bespoke styles. You might prefer a plain band with your favourite style of cut, or simply have your ring made in two metal colours to make it extra special. Discuss your options with us at our comfortable offices in Dublin City Centre.